Stress can harm our physical and mental health: it may have a negative impact on our mood, cause insomnia and the development of several chronical diseases. However, avoiding stress is not an easy task.” Nowadays, the job market is extremely demanding, we face an overwhelming amount of information, and there is a huge number of technological innovations and devices distracting us continuously. The world is more and more challenging, and to live in a calm and relaxed manner seems unattainable. The first advice is to stay positive and laugh: these behaviours lower levels of stress hormones, reduce inflammation in arteries, and increase “good” HDL cholesterol. According to the Mayo Clinic, laughter stimulates circulation and many organs, aids muscle relaxation, and activates and relieves our stress response. It also improves our mood and our immune system and relieves pain while increasing personal satisfaction, which in turn helps to reduce depression and anxiety. Many authors have said how important meditation is for releasing stress and managing fears and negative thoughts. And the best part is that meditation is actually free! One may meditate anytime and anywhere, improving mental and emotional health. It also boosts concentration and improves our mood. Recently, many have discovered the benefits of mindfulness, a practice that helps release anxiety and depression, and entails a number of modalities, such as mindful eating, a technique that allows us to absorb all the sounds around and various tastes of the food while eating. According to Harvard Health Publishing, “every time you are physically active, whether you take a walk or play tennis, your body releases mood-boosting chemicals called endorphins”. Regular exercise is considered a natural anti-depressive, and may help ease symptoms of depression and anxiety by releasing feel-good endorphins, a natural cannabis-like brain chemical (endogenous cannabinoids), as well as other natural brain substances that can enhance our sense of wellbeing. On the other hand, when we exercise, we also take our mind off worries, escaping the cycle of negative thoughts, improving our good mood, our memory and our thinking skills. Exercise is key to achieving a happy and focused brain. We spend our day fully connected with various technological devices such as a computer, tablet, smartphone and television. We inexorably check arriving emails, text messages, or social media posts. At the same time, we are inescapably distracted by commercials on TV or any other media. In order to avoid stress, we need to unplug for a reasonable time, saving some moments just for us, and escaping devices that can generate stress in our minds. As Harvard Health Publishing recommends, we should find ways to take the edge off our stress. Very simple things can give us much needed break from stressors in our life, such as a warm bath, listening to music, or spending time on a favourite hobby. Find a way that allows you to release stress and use it to alleviate anxiety. Longevity is determined by factors endogenous as well as exogenous to the individual, such as stress and social relationships. Stress may develop into serious illnesses and make us have unhealthy habits. Social relationships affect our lifestyles and the ageing process. In which other ways can stress and social relations interfere with longevity? Scientific evidence shows that stress affects the ageing process. As Harvard Health Publishing explains, short-term stress response can help us deal with difficult situations. However, chronic stress can lead to physical damage, increasing blood sugar and worse diabetes. It also may promote high pressure and cause insomnia. Plus, long-term stress can make us feel anxious, worried, depressed, and frustrated. It also can increase the risk of heart disease and heartburn, contributing to the development of Alzheimer’s disease, among other health problems. Because of the many impacts of stress, we should learn how to control and avoid its worse symptoms including blood pressure, headaches, back pain, indigestion, or heart palpitations. People who suffer from frequent or chronic stress tend to have a poor concentration, be indecisive and experience emotional symptoms like crying, irritability, or edginess. Also, stress can influence our health by making us adopt unhealthy habits like eating poorly, exercising less, drinking more, and even relying on medication. Job stress is a factor also known for disproportionately affecting the ageing process. Individuals with that endure high job stress levels have the shortest telomeres, which have a crucial role in the decay of human cells. Telomere shortening has also been linked to Parkinson’s disease, type 2 diabetes, cardiovascular disease and cancer. On the other hand, job stress may cause job burnout too, which in turn may entail, according to Mayo Clinic, fatigue, insomnia, sadness, anger, irritability, alcohol or substance misuse, heart disease, high blood pressure, type 2 diabetes and vulnerability to illnesses. Apart from stress, there are other determinants of longevity. One of the most important tools to a longer ageing are social relationships, including social networks, social support and social participation. Maintaining smaller social networks, and contacting them less frequently can impair longevity. Conversely, according to Harvard Health Publishing, those who enjoy closer links with family and friends are more likely to live longer than people who are isolated and lonely. In an attempt to better understand how much social relationships affect longevity, researchers mentioned by the magazine conducted a meta-analysis showing that people who have regular contact with friends, family, and neighbors have a survival advantage comparable in magnitude with quitting smoking habits and about twice as large as exercising regularly or maintaining a normal weight. In short, Harvard research suggests that meaningful relationships are a prescription for better emotional, mental, and physical health. Good relationships appear to protect our brains when in our 80s, sharpening memory for a longer time. Physical activity is one of the best tools to prevent some non-communicable diseases and premature death. It is considered a natural anti-depressive, improving our good mood, our memory and our thinking skills. What other benefits can exercise provide to our brain and health in general? Many people stay at home inactive, not knowing that the lack of physical activity is one of the leading risks for death worldwide and that it has a key role in preventing noncommunicable diseases such as cardiovascular diseases, cancer and diabetes. It is already well known by scientific evidence how necessary and important exercise is, not just because it helps us to stay in good shape, but also because it improves our physical health. What is less acknowledged is how it helps the good functioning of our brain, developing additional capacities in this vital organ. It improves our good mood, acts as a natural anti-depressive, and increases intellectual skills. Physical activity has many advantages; one of them is that it changes the brain in ways that protect memory and thinking skills. According to Harvard Health Publishing, a direct way in which this happens comes from the exercise’s ability to reduce insulin resistance and inflammation, stimulating the release of growth factors – chemicals in the brain that affect the health of brain cells, the growth of new blood vessels in the brain, and even the abundance and survival of new brain cells. Conversely, exercise benefits our mind indirectly by improving mood and sleep and reducing stress and anxiety. As affirmed by the magazine, people who exercise have greater volume in parts of the brain responsible for controlling thinking and memory – the prefrontal cortex and medial temporal cortex – than people who don’t practise any physical activity. These changes emerge little after taking action: for instance, engaging in a program of regular exercise of moderate intensity over six months or a year is associated with an increase in the volume of selected brain regions. Regular exercise may help ease symptoms of depression and anxiety by releasing feel-good endorphins, natural cannabis-like brain chemicals (endogenous cannabinoids) and other natural brain chemicals that can enhance a sense of wellbeing. On the other hand, when we exercise, we take our mind off worries, escaping the cycle of negative thoughts. Regular exercise can boost confidence by enabling us to meet goals or challenges, and by helping us maintain a good shape a positive self-image. – They should practice at least 60 minutes of moderate to vigorous-intensity physical activity daily. Doing it more than 60 minutes daily will provide additional health benefits. – It should include activities that strengthen muscle and bone, at least three times per week. – They should engage in physical exercise during at least 150 minutes per week when activity is of moderate intensity, or at least 75 minutes in case of vigorously intense activity, or an equivalent combination of both. They may double their moderate activity per week if they wish to benefit from additional health benefits. – They should perform muscle-strengthening activities involving major muscle groups at least two days a week. – In the case of senior adults with poor mobility, they should practice physical activity to enhance balance and prevent falls a minimum of three days per week. Many thoughts cross our mind when we think about ageing. When it comes to mental health, we are increasingly aware of the impact of Alzheimer’s disease for the patient and for his/her carers. Uncertainty makes us wonder what causes the disease and how can we prevent it. Alzheimer’s disease is the most common cause of dementia among older adults, as explained by the National Institute of Aging from U.S.A. This is an irreversible, progressive brain disorder that slowly destroys memory and thinking skills and, eventually, the ability to carry out the simplest tasks like driving a car, cooking a meal, or paying bills. Usually, people who suffer from the condition ask the same questions over and over, get lost easily, lose things or put them in odd places, and find simple things utterly confusing. In some cases, they become worried, angry, or violent, as the disease progresses. According to the Alzheimer’s Association from U.S.A., individuals with Alzheimer’s dementia experience multiple symptoms that change over a period of years, and reflect the degree of damage to neurons in different parts of the brain. Early symptoms include difficulty remembering recent conversations, names or events, apathy and depression. Later symptoms vary between impaired communication; disorientation, confusion; poor judgment; behavioural changes; and difficulty speaking, swallowing and walking. Alzheimer’s disease is ultimately fatal. Is prevention in our hands? Genetic is a crucial risk factor for late-onset of Alzheimer’s disease, and until now, no lifestyle factor has shown to reduce the risk of developing the condition; however, according to the Mayo Clinic website, some changes in our behaviour can help. Evidence suggests that the same factors that place us at risk of heart disease may also increase our chances of developing Alzheimer’s. Smoking and exposure to second-hand smoke. Uncontrolledvascular risk factors, including high blood pressure and high cholesterol. Having diabetes can be also considered a risk. Not pursuing a heart-healthy diet containing fruits, vegetables, whole grains, fish, chicken, nuts and vegetables, while limiting saturated fats, red meat and sugar. Additional studies also pointed out that having a mentally stimulating job, engaging in mentally stimulating activities and exercising the brain throughout life may have a positive influence on the disease’s onset. Remaining socially active may too support your brain’s health and possibly reduce the risk of Alzheimer’s and other dementias. Formal education and thinking (cognitive) skills, such as memory. If you wish to undergo diagnosis or treatment or if you are a carer of someone with Alzheimer’s disease, you may contact us and get more information about our services. Finding an expert in the field may not be an easy task, especially if we are in a foreign country and facing a new language. Medical Port provides the access to the most appropriate specialists, arranging English-speaking staff able to understand and answer your needs and concerns. According to the World Health Organization (WHO), 15 million people worldwide are affected by stroke each year. Of these, 5 million die and a similar number become permanently disabled. A stroke can seriously damage the brain, reducing functionality and quality of life permanently, so it is important to understand and learn how to avoid it. As explained by the WHO, our brain can only function if adequately irrigated by blood. Two large blood vessels, running along either side of the neck, carry blood from the heart to the brain. Arriving at the brain, these in turn narrow gradually until becoming tiny tubular passages supplying oxygen and nutrients to all parts of the brain. When this flow of blood is significantly reduced or even interrupted; the brain loses its ability to nourish and function, becoming seriously damaged. Effects of this condition depend on which part of the brain is affected and how severe the damage is. A stroke may affect just one part of the body, such as the face, an arm or a leg. In other situations, it can completely paralyse important bodily functions. When it develops into its most dangerous outcome, it is called a major stroke. A very severe stroke can cause sudden death. To realize if someone is having a stroke, it is important to observe the symptoms. The most common one is a sudden weakness of the face, arm or leg, most often on one side of the body. Other symptoms may occur, including sudden onset, numbness of the face, arm, or leg, especially on one side of the body; confusion; difficulty speaking or understanding speech; difficulty seeing with one or both eyes; difficulty walking, dizziness, loss of balance or coordination; severe headache with no known cause; fainting or unconsciousness. Symptoms of a minor stroke may be similar to those of major strokes, but milder and of shorter duration, even less than an hour. In such cases, the person recovers without treatment. Face. Ask the person to smile. Observe the lips are uneven. Arms. Ask the person to raise both arms. Is one arm drifting downwards or unable to rise? Speech. Ask the person to repeat a simple phrase. Notice if the speech is slurred or strange. Time. If you detect any of these signs, call an ambulance immediately. If you’re a smoker, quit. The risk of stroke drops immediately after a person quit using tobacco products, and can be reduced by as much as half after 1 year. Every way of smoking is harmful, being it in cigarettes, cigars, pipe smoking, tobacco chewing, and even second-hand tobacco smoke. Adopt a healthy diet. Eat at least 5 servings of fruit and vegetables a day and two servings of oily fish a week. Avoid unhealthy meals with too much food, calories, fat, sugar or salt. Limit alcohol. We may not entirely quit alcohol, but it is important to learn how to be moderate: a man should not drink more than two alcoholic drinks a day and women not more than one. Practise physical activity. Exercise lowers the risk of stroke for many reasons. It helps the body to burn sugars and fats and to keep a proper weight; lowers blood pressure; increases oxygen levels in your body; reduces stress; strengthens the heart muscle and bones, and improves blood circulation and muscle tone. Prevention includes regularly visiting our physician and being aware of our overall health. If you are living in Portugal and need medical assistance with English-speaking staff, you may contact us and we will support you with local arrangements according to your condition and availability. 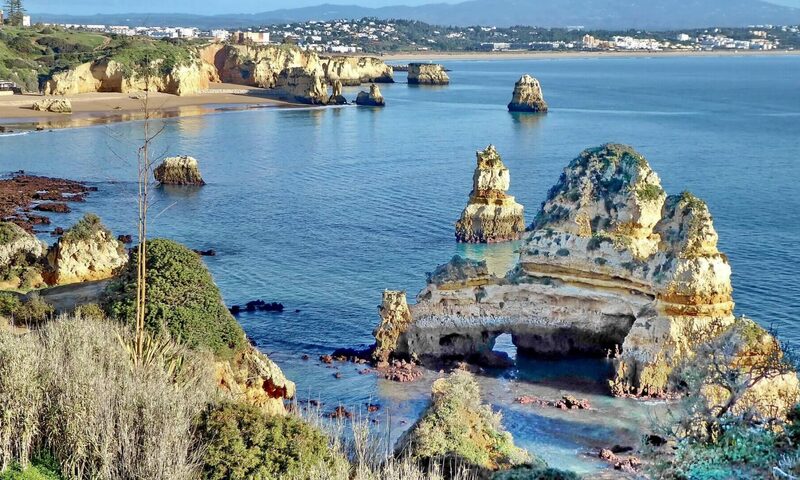 Portugal has been mentioned as a leading destination for vacation in many articles and placed in the top of various rankings. This year, the World Travel Awards distinguished the country with several awards in different sections. 2018 is definitely the year of Portugal as an unmissable touristic place. World Travel Awards awarded Lisbon as Europe’s Leading City Destination 2018 and Portugal as Europe’s Leading Destination 2018. Also, it is the third time in a row that Lisbon receives the award of Europe’s Leading Cruise Port 2018 and many Portuguese resorts and hotels conquered a prize in World Travel Awards this year. Regarding places hidden in the countryside, Madeira Islands were awarded as Europe’s Leading Island Destination 2018 and Passadiços do Paiva (Arouca UNESCO Global Geopark) as Europe’s Leading Adventure Tourist Attraction 2018. Lisbon has been in the top of the last rankings as a city break for tourists. The Telegraph explains the main reasons why Lisbon is such a desired destination, considering its restaurants, gastronomy, architecture, street art and closeness to the beach. There are other curious facts about the city: it is one of the world’s oldest ones, it is marked by Portugal’s role in the Age of Discovery and it gets more sun than anywhere else in Europe. However, Lisbon is just not a city for a quick visit. Very recently it became the home of some celebrities: Monica Belluci, Michael Fassbender and Christin Louboutin bought their apartments in the typical neighbourhood of Alfama while Madonna is in the city’s spotlight because of her struggle to buy her ideal Portuguese house. The living cost, the sun and the quality of life are surely crucial factors that bring so many foreigners to Portugal. Nevertheless, when choosing this country to visit or to settle, there are two essential factors that strongly influence this decision: it is a safe destination and it has one of the few good healthcare systems in the world, as stated by the World Health Organization’s Director-General.